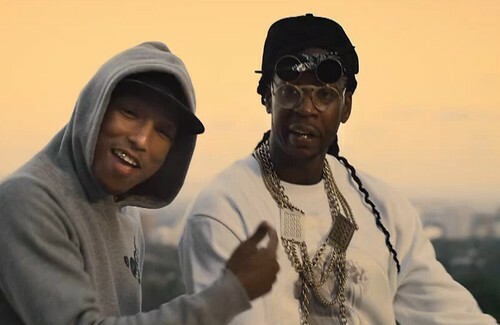 2 Chainz gives a first-hand look to those prying eyes in “Feds Watching,” the lead single off his B.O.A.T.S. II: ME Time sophomore album. The Atlanta-native sets flight to the Hollywood Hills in Los Angeles and enjoys the lavish living at a discreet mansion with Pharrell. The artist who once procalimed to love big booty women on “Birthday Song,” switches his taste as stunning slimmer models fill his bachelor pad. Arriving September 10 on Def Jam Records, 2 Chainz’s new album is the follow-up to his 2012 Grammy-nominated Based on a T.R.U. Story LP. 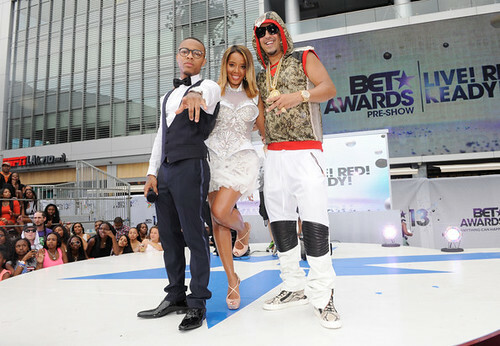 All eyes worldwide were were tuned into the BET Awards 2013 on Sunday night, live from the Nokia Theatre in Los Angeles. Hosted by actor/comedian Chris Tucker, the 13th annual showcase was a celebration of current stars and present legends. Once celebrities made their way past the red carpet, many watched as Chris Brown had the honor of opening this year’s festivities with a medley of “Fine China” and “They Don’t Know” as an image of Aaliyah projected on stage. Brown debuted new music as Nicki Minaj appeared from the rafters with a ranchy verse from an untitled song off Breezy’s X album due July 16. The most memorable moment came as Charlie Wilson was honored with the 2013 BET “Lifetime Achievement Award.” The legendary singer was tributed by India.Aire, Jamie Foxx, and Stevie Wonder. Uncle Charlie, as many call him, displayed he gets better with age as he showed off his dance moves and gave an 11-minute medley of past and current hits with help from Justin Timberlake, Snoop Dogg, and Pharrell. Watch all the performances from this year’s show below….. The 13th annual BET Awards return to Los Angeles on Sunday afternoon, live from the Nokia Theatre. Before the star-studded main event began, 106 & Park hosts Bow Wow and Angela Simmons kicked off this year’s extravaganza with the pre-show and red carpet arrivals. As some of tonight’s biggest stars posed for the cameras, artists such as French Montana, Ace Hood, A$AP Ferg, ScHoolboy Q, Trinidad James, Problem, Young Marcus, and more performed on the outdoor stage before the BET Awards 2013. Check out the pre-show highlights with performances from French Montana, Ace Hood, Trinidad James, and A$AP Ferg below…. Ciara rounds up the ladies and throws a dance party in “I’m Out,” the latest single off her self-titled LP due July 9. The ATLien calls all females to drop everything, let their hair down, and head out for a night of dancing. Filmed in New York City, Nicki Minaj makes an appearance in the vibrant visual directed by Hannah Lux Davis. 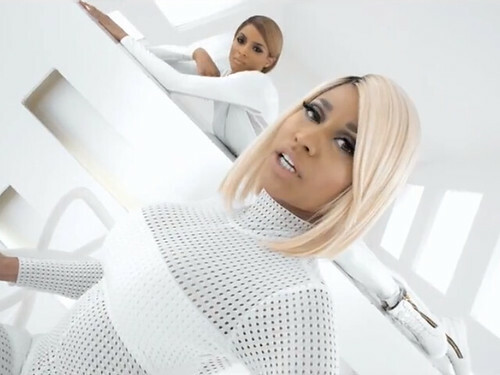 Along with Nicki, CiCi’s new album features an appearance from Future. Pre-order your copy before it hits stores next Tuesday. Hit the dance floor in “I’m Out” below…. The stars were out and shining at the BET Awards 2013 on Sunday evening. Taking place for the first time at the Nokia Theatre in Los Angeles, many of today’s popular artists grace the red carpet displaying their unique fashion taste in the sweltering California heat. Entertainers such as Chris Brown, Big Sean, Ne-Yo, and Nelly kept it more casual than dapper. Miguel, Pharrell, T.I., and Snoop Dogg caught eyes with formal looks, while J. Cole, DJ Drama, and comedian Brandon T. Jackson created a buzz throughout social media with a fashion faux pas by wearing the same Versace-inspired sweater (not planned). 2 Chainz, Trinidad James, and French Montana did their best to stand out, as Brandy, Melanie Fiona, Ciara, Eve, Paula Patton, Amber Rose, and Bridget Kelly kept to the summer theme with light vibrant skirts and dresses. Check the gallery of photos from this year’s BET Awards red carpet below…..
As the nephew of mogul Damon Dash, you’d think Da$H would be suited for hip-hop’s highest tier. Instead, the New Jersey native has been carving out a name for himself in the bubbling indie scene, notching collaborations with the likes of Curren$y, Chuck Inglish and Sir Michael Rocks. The slick-spitting bucket hat aficionado racks up more big co-signs on his new solo effort, V.I.C.E.S. The 15-track project boasts appearances from Action Bronson, A$AP Ferg, Ab-Soul, A$AP Nast and Vince Staples, with some wavy production coming from Larry Fisherman (aka Mac Miller), Thelonious Martin and others. 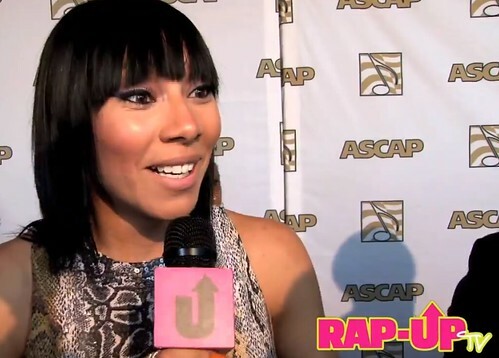 Bridget Kelly has plenty to smile about. The Roc Nation songstress just released the fun-filled “Street Dreamin” video with Kendrick Lamar last week, and is now gearing up towards the release of her debut album. Catching up with Rap-Up at the 26th Annual ASCAP Rhythm & Soul Music Awards, the NYC-native reveals the title to her album is Something Different. Expect the album to arrive in September, though an exact date hasn’t been picked yet. In the meantime, Kelly plans to release her new single “Goosebumps” between the end of August-early September. Jay-Z is never one to forget. The latest preview leading up to the release of his Magna Carta Holy Grail LP comes in the form of “La Familia.” Unlocked via the Magna Carta app on Google Play, the lyrics to track No. 11 features what appears to be some words subliminally aimed at Lil’ Wayne. 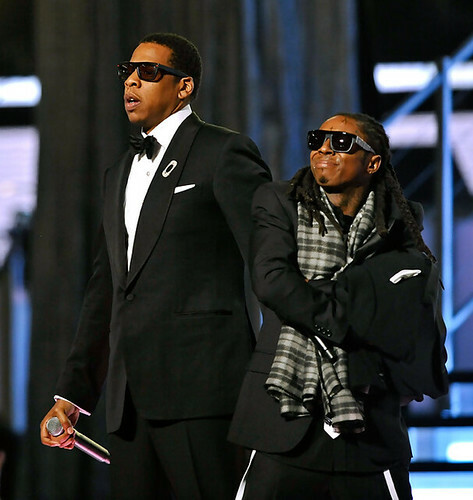 The attack from Weezy was his response to Jay-Z’s “Really you got baby money … You ain’t got my lady’s money” verse from “H.A.M.” off his collaborative Watch the Throne LP with Kanye West. The Roc Nation mogul also touches on his lyrics being authentic, and takes time to respond to the NFL’s investigation on Roc Nation Sports. Magna Carta Holy Grail is available for download on July 4 — three days before public release — to the first one million Samsung Galaxy S III, Galaxy S 4 and Galaxy Note II users via the Magna Carta app at Google Play. Read the lyrics to “La Familia” below….. The biggest weekend in music concludes later this evening as the BET Awards 2013 return to Los Angeles’ Nokia Theatre. Before the pre-show kickoff at 6 p.m. EST, here’s an inside preview of where some of today’s biggest stars will be seated during the main event. 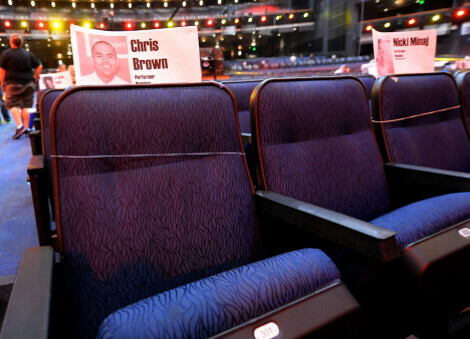 Chris Brown and Nicki Minaj will be front row seated next to each other, as Miguel has spot in front of DJ Khaled and Ace Hood. Mariah Carey and husband Nick Cannon will be side-by-side with NBA Champion Dwyane Wade and his girlfriend-actress Gabrielle Union. T.I. will be close to his “Blurred Lines” collaborator Robin Thicke and his wife Paula Patton, while The Weeknd makes his award show debut with a seat behind Mindless Behavior. Other noteables include R. Kelly, Brandy, Pharrell, Kendrick Lamar, A$AP Rocky, India.Aire, Snoop Dogg, Nia Long, Morris Chestnut, and more. Hosted by Chris Tucker, the BET Awards main show starts at 8 p.m. EST with performances from Justin Timberlake, Mariah Carey, Nicki Minaj, Chris Brown, R. Kelly, Jamie Foxx, Ciara, Kendrick Lamar, and more. The legendary Charlie Wilson will be honored with this year’s Lifetime Achievement Award. 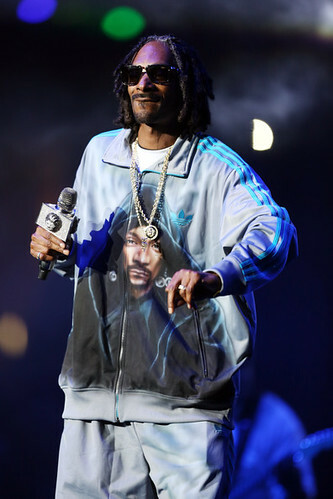 Snoop Dogg Brings Out Dr. Dre, Wiz Khalifa, Problem, Future, & Ace Hood in L.A.
Snoop Dogg displayed how the west coast like to party on Saturday night as he closed out the first annual BET Experience at the Staples Center in Los Angeles. Uncle Snoop had a few special surprises for the packed crowd who enjoyed performances from ScHoolboy Q, Miguel, J. Cole, and Kendrick Lamar, leading up to his headlining set.